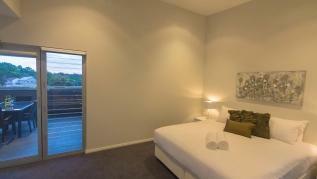 Townview 8 is beautifully furnished with all the modern comforts to make your stay as enjoyable as possible. 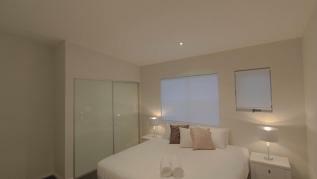 With two king bedrooms and two bathrooms this is the perfect apartment for one or two couples. All season comfort with reverse cycle air conditioning in the main living area and master bedroom, king beds with luxury linen (second room can be converted to 2 singles), nespresso coffee machine, Bose ipod dock, dishwasher, fully equipped kitchen and so much more. 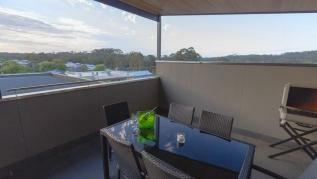 The open plan indoor living area opens out onto an enormous balcony with lounges and table for views over the town centre and tree tops of the forest beyond. 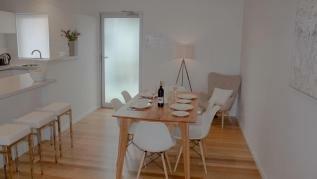 BBQ at home or walk a few steps to the main strip for dinner and drinks. This property is ideally located close to town but perfectly positioned a block away to ensure a peaceful holiday. It’s also just a short walk to the river, local bush trails and parks. Free WIFI. 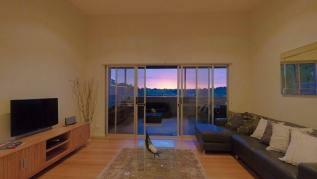 Really great location, well equipped, very responsive hosts and nice large space to relax in. Will return for sure! Great location to discover Margaret River. Walking distance to all shops & pubs. The bed are extremely confortable, we had a great stay. 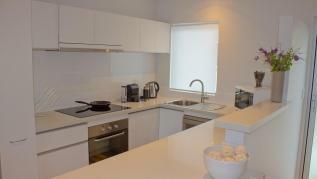 Very convenient location for the centre of Margaret River and all that it offers. Lovely décor. Fantastic unit. Awesome location. Clean and well equiped. 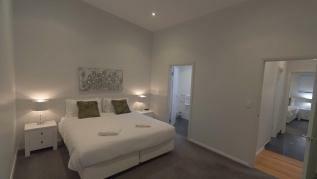 Perfect accomodation for a visit to Margaret River. Highly recommended. A central location means that you can walk everywhere within the township - no need to drive. A well designed apartment for 2 couples - large living areas, separated bedrooms with two bathrooms, a nice outdoor balcony and outlook. 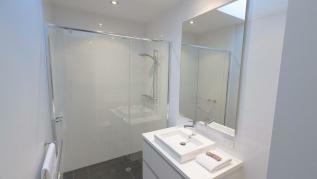 Well appointed and very clean.